To register for e-Remit please complete ID Verification (Remittance Registration). WHAT IS SBI e-Remit REFERRAL PROGRAM? 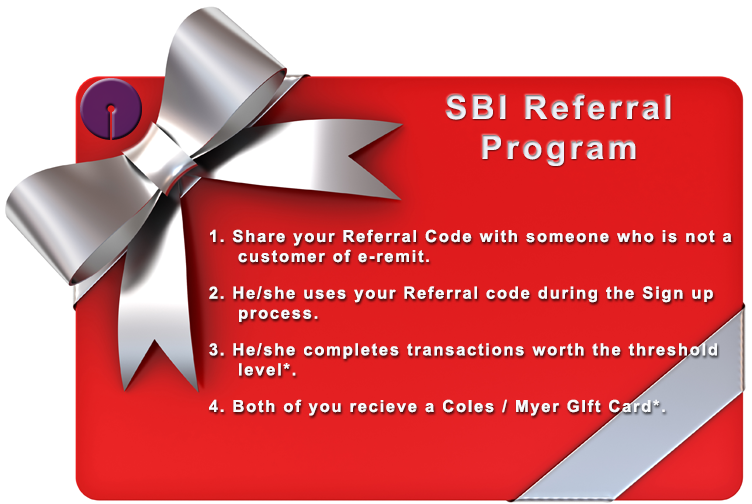 A loyalty program designed for existing SBI Sydney customers for sharing their experience about our services with their families and friends through word of mouth marketing. 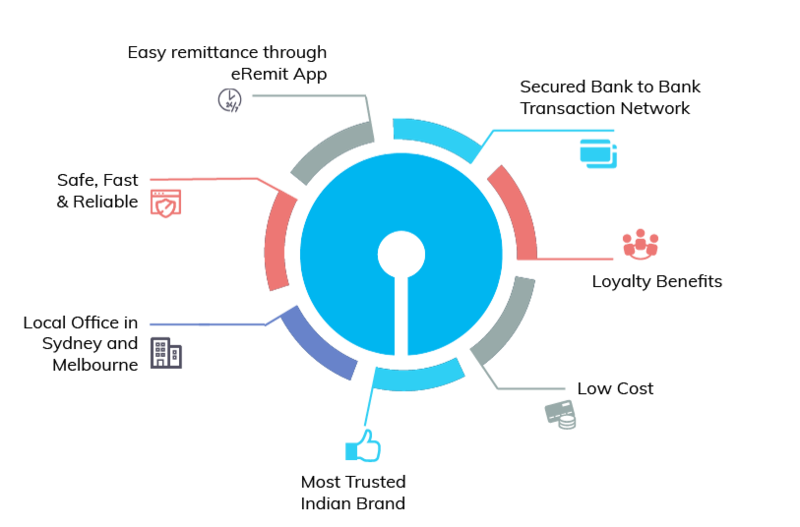 WHAT IS EXPECTED FROM ME TO BE PART OF SBI e-Remit REFERRAL PROGRAM? To be part of the program, you are just requested to refer your family or friend to register using your referral code and transact with us through e-Remit. **Please note Referrals given to relatives or family residing in the same address as the referrer are not allowed.